ShopAdvisor and EVOS Restaurants announced today the launch of a campaign designed to engage consumers in the Tampa/St. Petersburg and Miami areas with special offers that promote healthier eating. 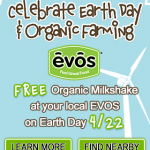 A culmination point of the campaign will be on Earth Day, Monday, April 22nd, when EVOS will celebrate by giving any consumer entering one of its four locations a free homemade organic milkshake. The campaign will feature many EVOS menu offerings delivered via contextually relevant ads to consumers phones and tablets with specific instructions on how to get to the EVOS location nearest them for purchase. Their milkshakes are homemade with organic milk and sugar, that’s it – simple, natural, delicious. Earth Day has reached its current status as the largest secular observance in the world, celebrated by more than a billion people every year, and a day of action intended to change human behavior and provoke policy changes. You can find an example of this message inside each EVOS restaurant that has been made with sustainable building materials and running in part on renewable energy sources. ShopAdvisor has worked closely with EVOS’ executive team in defining the campaigns many attributes including which meal combinations to offer and when, audience targeting, geofencing the locations, creating the rich media promotions and calls to action for the consumer including getting directions and landing pages for more information and options. ShopAdvisor has been working with QSRs and fast-casual restaurants to create end-to-end campaigns that engage customers on their mobile devices, to drive traffic to targeted restaurants in geo-fenced areas. Some of the elements include ShopAdvisor’s intelligent audience targeting, ads that really engage the consumer, and drive-to-location guidance. The ads are designed to entice specific customer segments based on contextual aspects of the targeted demographics in addition to certain times during the week. EVOS is a fast-casual restaurant offering simple yet flavorful all-American favorites, including burgers, wraps, bowls, salads and homemade organic shakes. EVOS’ fare is healthier for people and the planet because it’s made with the freshest natural and organic ingredients using earth-friendly methods and materials. With locations currently in Florida, EVOS sources only the very best ingredients such as naturally raised beef with no added hormones or antibiotics. The EVOS philosophy of “Feel Great” has guided the company throughout its history – inspiring its focus on offering healthier food choices including school lunches for children, environmental and social awareness and advocacy and support for local communities. 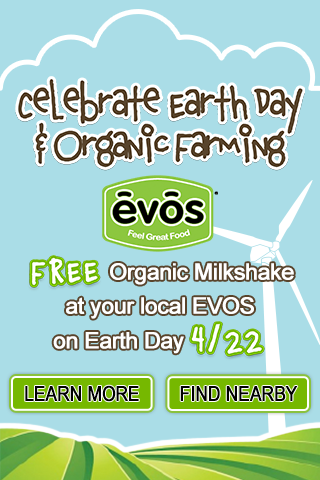 Named the “Greenest Burger Chain in America” for three consecutive years by Greenopia.com, a leading green consumer guide, EVOS employs a variety of sustainable business practices. From the purchase of renewable wind energy to the use of alternative, eco-friendly cooking methods, EVOS has perfected the art of serving great tasting, affordable food that leaves everyone who eats it feeling a little better about themselves. ShopAdvisor enables agencies, brands, retailers, and restaurants to power mobile, and other digital shopping experiences that drive consumers’ path to purchase in brick-and-mortar locations. 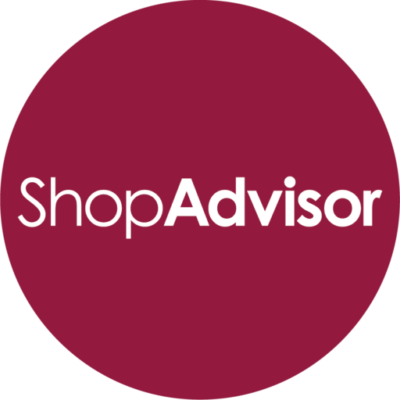 ShopAdvisor’s end-to-end solution spans audience and geographic targeting which includes rich media creative design and delivery, campaign execution, management and optimization, and post-campaign analysis.